We were pooped out from a busy weekend (my sis's engagement party on Saturday, church and errands on Sunday) and it is much too hot of late, so we opted to stay home on the fourth. Ben (and I) also had a bit of work to do, so staying cool indoors sounded like the best option. We stayed in our pajamas all day, put on some fun kid movies, and watched them all day long with the girls (while we got some of our work done). 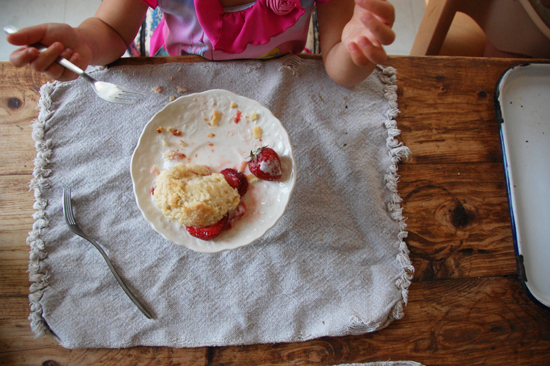 We did some fourth-ish things in the evening as Ben cooked up some salmon burgers and I whipped up a teeny strawberry shortcake for each girl to enjoy. 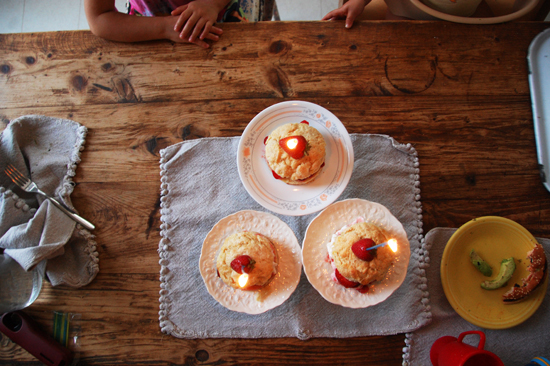 I have made these yummy cakes three weeks in a row (recipe coming on Wednesday when I share our Cake Party!). I ought to take a break from baking, but I probably won't cause it is too much fun and sometimes cravings just come. I explained to the girls that today was the United States of America's birthday, so we needed to sing happy birthday. 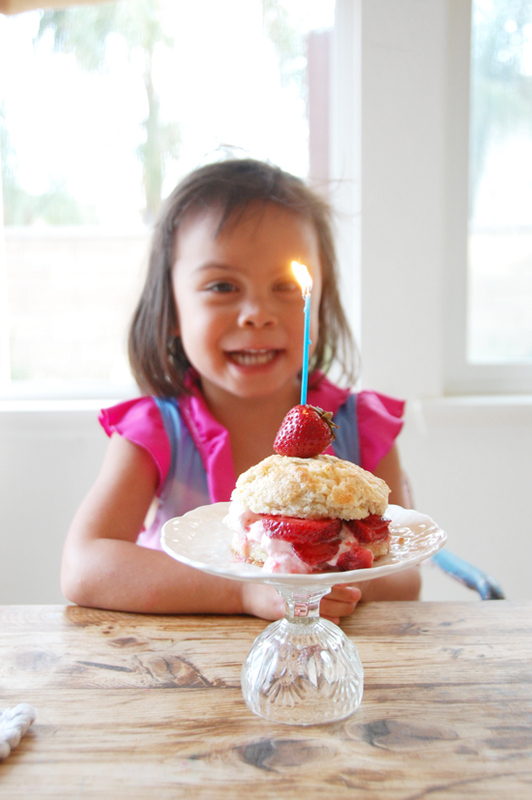 Our red and white was our strawberry shortcake and we stuck on a blue sparkler candle on top. It was the perfect way to celebrate! Each girl got their own cake in front of them, and nice and loud we all sang, "Happy Birthday United States..." over and over again. I think we sang the birthday song about 5 times. 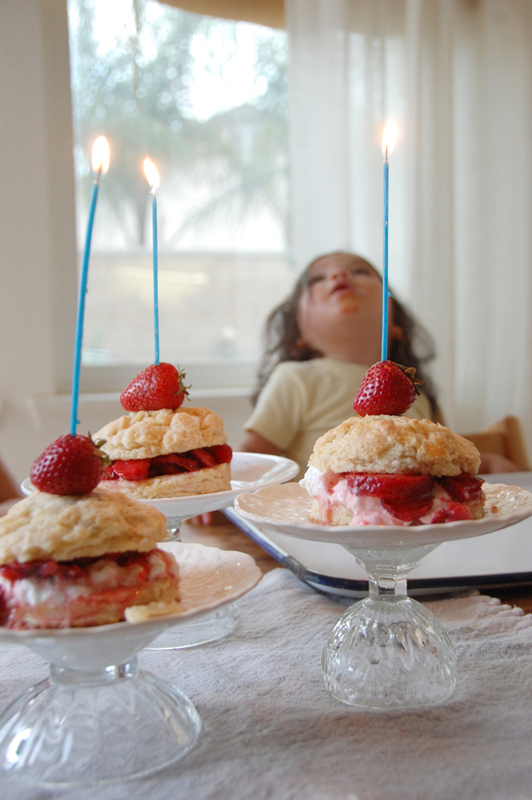 Once all the happy singing was over, they blew out their candles and indulged their tummies with yumminess. 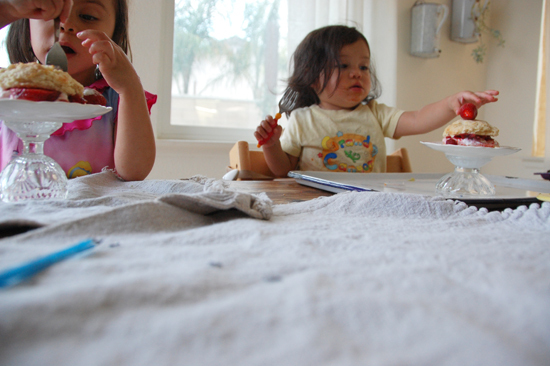 They plowed through their cakes as there was not much left. 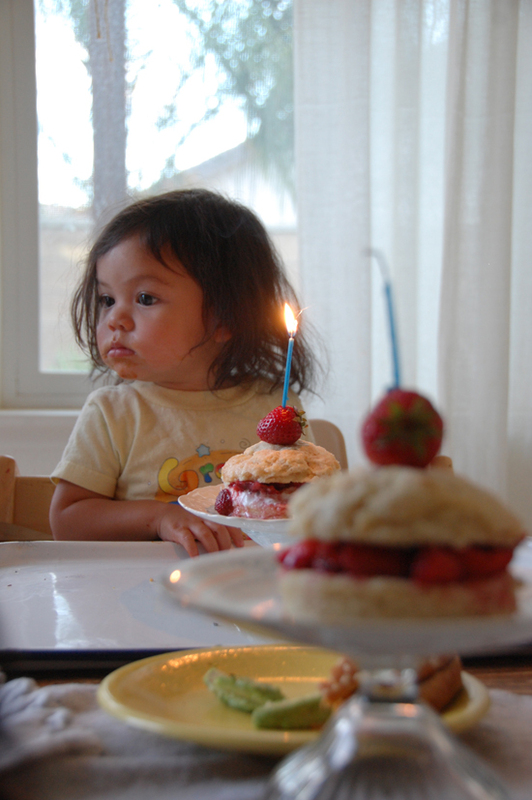 Soulie was pretty fussy throughout dinner, but once that cake was put in front of her, her mood change dramatically. After dinner, Ben read them stories and put them to bed. Their firework viewing was done on their cakes and our neighborhood had their fireworks show last Saturday (yeah I know, kinda lame), so we didn't head out to watch any tonight. It was a simple way to celebrate this special day for our country. Maybe next year, we will venture out and be a bit more festive, but we are such homebodies that we have no problem staying home too! How did you celebrate the fourth? those cakes look so cute and yummy! What a nice relaxing day. We were planning to stay home all day in our pjs too. But that's because my girl is sick. She had a fever. But around 9 pm she was feeling better and when my husband went out into the garden to check our plants she heard fireworks going off. She wanted to see them so we bundled the kids into the car and drove off to watch fireworks. It was late and unexpected but luckily we caught some. I work the whole weekend! Joe and Bela went to see the parade and fireworks! That sounds like a perfect day! Kinda hard to go out looking for a fireworks show late at night... We haven't done it in years. 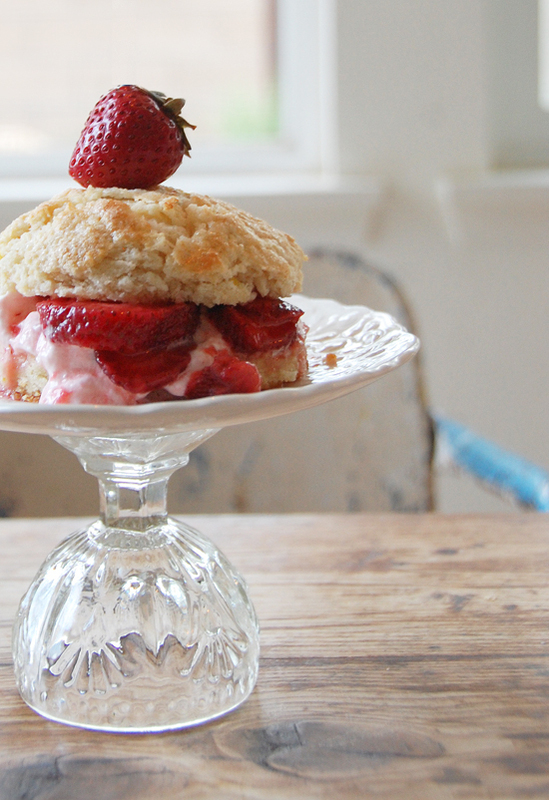 That strawberry shortcake sure does look amazing, can't wait for the recipe, it seems like a perfect summer treat! 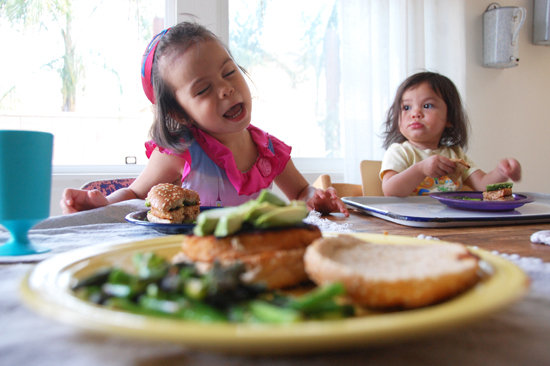 The salmon burgers look great too. 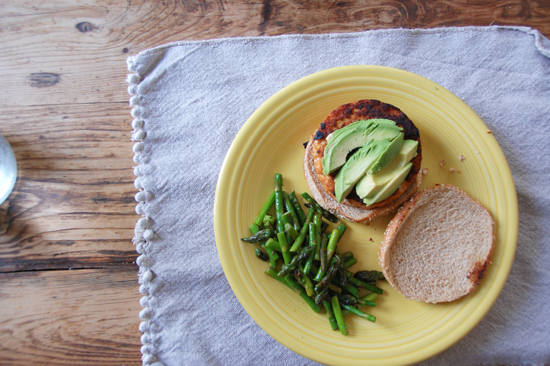 Your always posting these awesome pictures of Ben's meals, that make me hungry! Omg, SO CUTE. Your daughters are adorable. its such a great thing you teach your kids what today really means. those cakes look delicious! can't wait for the recipe. also, did you make the cake stands? they are cute! such a cute way to celebrate!! your littles are so precious! if i was the united states of america, i would say it was quite a happy birthday party. So, so fun!! 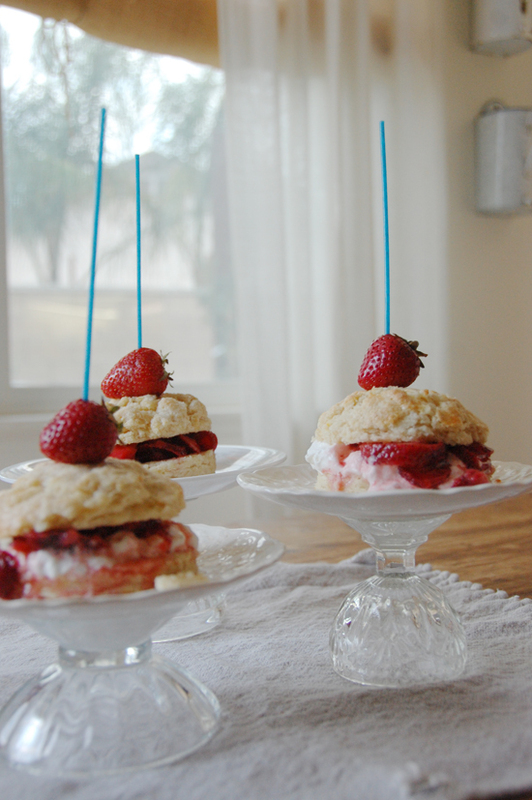 I love the little shortcakes. You are such a great momma! 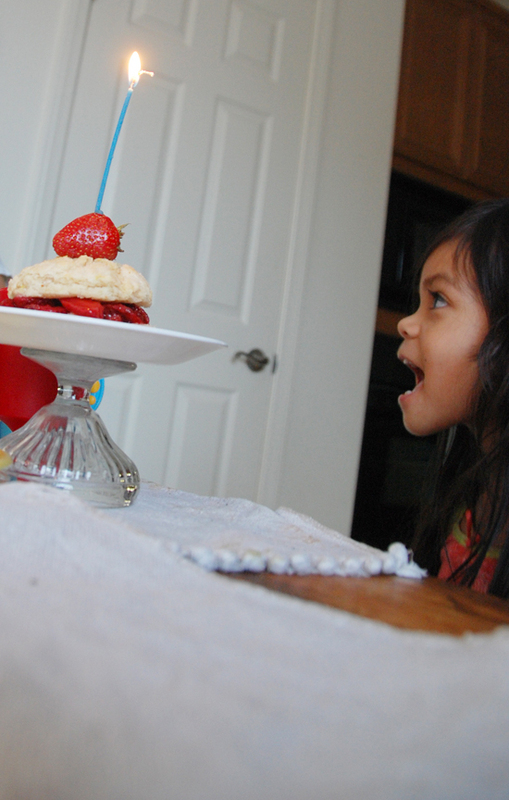 miriam- i did indeed make the cake stands, which i learned from my friend danni (oh, hello friend). megan lane- baking doesn't make me great! you should have seen me when i was getting mad at the girls for not listening today.